Our Drill Line is packed with the most modern technology in the industry. Let us help you by providing quality manufacturing solutions for your Steel Construction, Buildings, Bridges, Shipyards, Mills and other various construction projects. 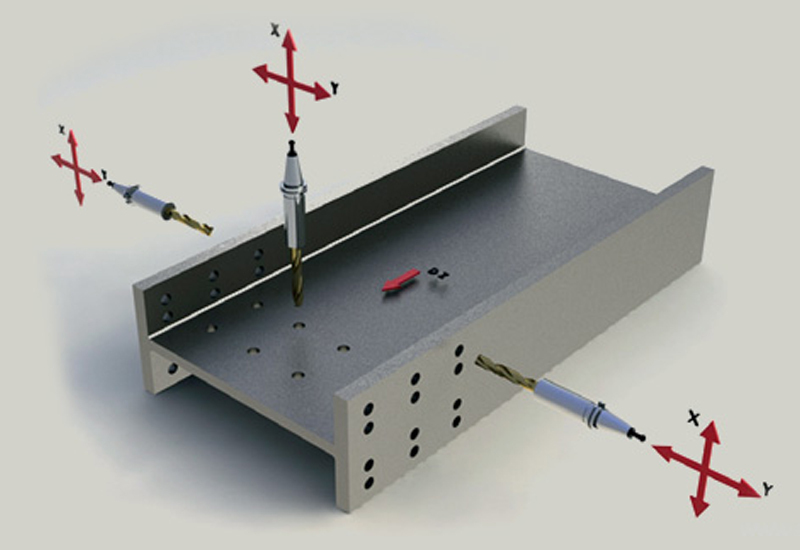 The Drill Line can process Wide Flange Beams and I-Beams, Channels, Angles and Flat Bars from 3-1/2 ” to 47 “. Our machine is unique in the fact that each spindle operates independently from each other in a “sub axis” creating holes extremely fast, making quick turn-around for your projects. Emerald Steel is a proven and valuable resource for fabricators, steel service centers and manufacturers. Our capabilities are unique, proven, and relied upon by our customers to meet demanding project schedules. Whether you need to outsource production capacity to meet a project deadline or simply want to utilize an outside processing resource to increase shop throughput, we are ready to help keep your projects on schedule and profitable. We can also sandblast, prime paint or finish coat your order! 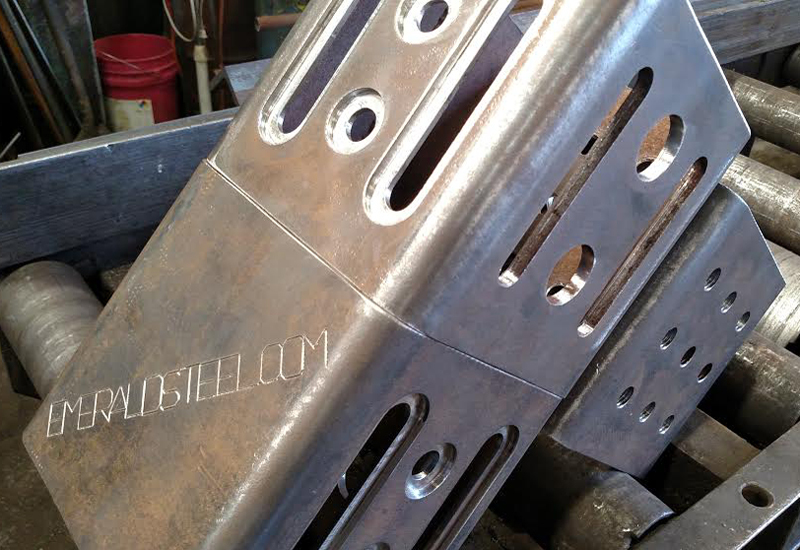 Our CNC drill line enables us to add holes and marks to steel beam and other steel products. 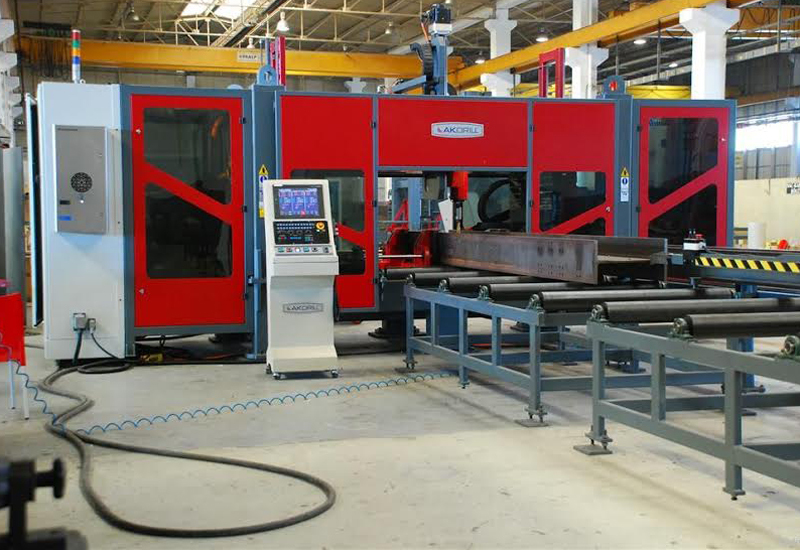 This large automated system ensures perfect precision for drilled holes in beam from small to large. We can also cope beams for intersections and connection points.